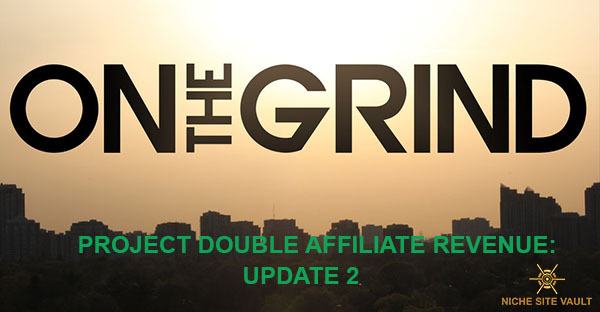 Welcome to my second month update of the Project Double Affiliate Revenue experiment. You can check last month’s update here. Last month, I set up for myself an ambitious goal to write 90 articles for the site but I’ve failed miserably. I never got to write even 10 articles. There was general fatigue with writing the articles for this niche as they are boring. I’m not passionate about the niche and hence staying motivated to write has been quite a challenge. While researching the titles for the articles to write in July, I came across one problem: most titles covered by the competing websites were informational in nature. While informational content can generate tons of traffic, the problem is that they do not usually lead to sales. People searching for informational content typically have no intention of buying at that stage. I’ve been tracking 2 major competitors in the niche I’m in and they have lots of informational content. I debated whether or not to write the same content, and opted not to. After all, the goal is not to increase traffic but double the revenue. So, this meant starting to search for other products I could review in the niche. As a result, I’ve had to dive into a new sub-niche of the niche. And again, this is where I’m happy that I switched my niche website to a brandable domain name. If I was still using the partial match domain (PMD) name that I had at the beginning, branching into the subniche would have been a problem. Another thing that killed my psyche for writing content is the price points of the products I was to review. Majority of the products costs from $10 to $40. I feel this price point is too low for me to make a decent commission from Amazon. I want products whose prices range from about $50 to $100 if I’m to double my earnings. To cut the long story short, I’m getting into a new sub-niche in my bid to double affiliate revenue in 4 months. I’m not sure of the impact of this move, but hope it would lead to the earning I want. 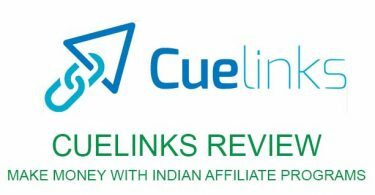 My main concern is that in the sub niche I’m entering, breaking into the first page of Google will be a little tough based on the links that the competitors have. With that out of the way, let’s touch on some items I had highlighted in June. I bought an expired domain name and planned to 301 redirect it to my current niche site to boost the latter’s DA and links. The plan was to index the expired domain, let it settle and see whether it gets any “love” from Google, and if it does, redirect it to my niche site. I rebuilt the domain name with some of its original content. I only rebuilt the content that had backlinks pointed to them. The aim was to see whether this revived expired domain could rank on Google. As you can see from the image below, the domain is not ranking for any keywords. For me, that’s not a good sign. Whenever I buy PBN links or do redirects, I only want to deal with domains that have some articles that are ranking on Google in the top 100. Apart from this, the domain name lost some of its links. When I checked the Ahrefs data in June, there were 43 Referring Domains (RD). At present, the RDs are only 18. The funny thing is that Ahrefs does not show the lost links apart from 2. I’m not sure what is going on here with the domain. So, for now, the domain name is not redirected yet. It stays the same. However, since I did not rebuild all its former articles, I plan to do so this month and see whether there will be any changes in terms of ranking in the top 100. If the domain starts ranking, I’ll redirect it to my niche site. Let’s look at the current stats of the niche site website. Yes, I only published 8 articles. However, I wrote about 15 articles but I got lazy with proofreading them and hence they are still on my laptop unpublished. I need to stop wasting time and publish the articles ASAP. From the stats, you can see there was an increase in backlinks built. I’m not sure how many backlinks I built but they must have been less than 3. Not sure where the rest came from. You can see traffic to the site is still at 1.9K, but the organic keywords have increased from 1.7K to 2.3K. This indicates that the content I’ve been posting has started to rank on the SERPs, although they are not on the first page to lead to traffic increase. Yes, I can see an improvement. However, the amount is still nothing to should about. In fact, since I’m halfway through the project timeline, the amount is quite discouraging. I’ve thought more than once about pulling off the project. But for what it’s worth, I’m going to stick to it to the end. The previous content earned $205. I expected to get a huge bump in my earnings during Amazon Prime day. However, from the looks of things, there really wasn’t out-of-the-ordinary activity on the site during the day. Generally, traffic and page views increased in July, as can be seen from the Google Analytics screenshot. I’ll be on a 2-week vacation starting tomorrow. Therefore, I’ll only have 14 or so days to work on the project. Still, I’ll need to do something to stay on track with my goal of publishing a total of 200 articles and 50+ quality backlinks by the end of September. My goal is to publish at least 30 articles this month. This is a long stretch goal but I’ll work to achieve it. I’ll also try to get some backlinks and track them. There’s my update for the Project Double Affiliate Revenue experiment. Catch you in 30 days.